International education can mean different things in different contexts. Some educate students to adopt a global view. 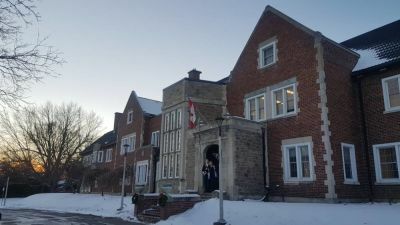 Others, as with Fulford Academy, it’s the student population that brings the international flavor, arriving from around the world, often with the intention of staying in Canada to complete their high school and post-secondary careers. The school communicates with families in 11 languages, something which is very key, and very welcome, for many of them. Cultural literacy is a focus, as is proficiency in English. For some, Fulford is a stepping stone other schools, though students are of course welcome to stay through the completion of their high school degrees, as indeed many do. 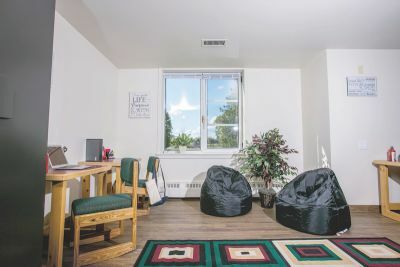 The ideal student is a one intending to pursue post-secondary education in Canada, and who is also looking for a smaller, more personalized setting in which to get up to speed with the various fluencies they will need in order to achieve success. 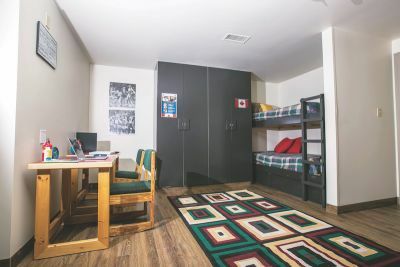 We work directly with Albert College, Appleby College, Ashbury College, Bishop's College School, Lakefield College School, Ridley College, St. Andrew's College, Stanstead College, Trinity College School and many more to place student. 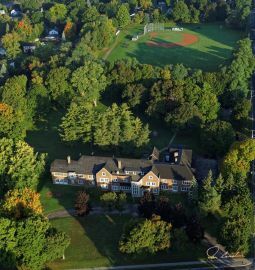 Fulford Academy is a coeducational private day, boarding and online school in Brockville, Ontario Canada. 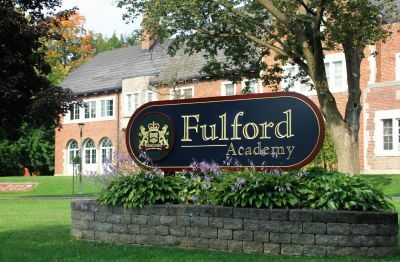 Founded in 2002, Fulford Academy offers grades 6 to 12, leading to the OSSD - Ontario Secondary School Diploma. 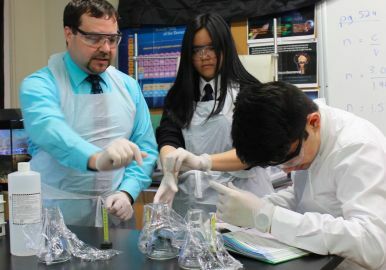 Our unique curriculum offers differentiated instruction, advanced placement and emphasis on Science, Technology, Engineering, Mathematics and Arts (STEM +A). Our specialized programs include ESL Prep, University Prep, Fulford Online, Hybrid Dual High School Diploma Program, and Summer Programs. Our comprehensive co-curricular program includes community service, athletics, arts, music, clubs and other activities that give students many opportunities to discover their strengths and explore their passions. Each student is coached and guided to recognize and accept leadership opportunities and be a support to their peers. A Fulford education is much more than books! As a member of BAU Global, we are thrilled to offer increased emphasis on Science, Technology, Engineering, and Mathematics + Arts, (STEM+A). Our students will engage in cross-curricular studies that involve coding, robotics, mechanical design and engineering problem solving as an integral part of their learning. Our core values shape the inclusive atmosphere that is Fulford Academy. We emphasize collaboration and cooperation in our community; we celebrate our differences, but seek the common ground to form bridges between individuals and between cultures. We respect the courage required to leave home and study within a new language and culture, and always seek the wisdom to make our World a better place for everyone. Fulford Academy applies the Science, Technology, Engineering, and Mathematics + Arts, (STEM+A) approach. 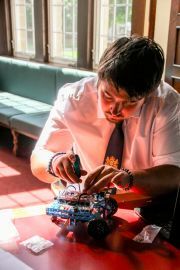 Our students engage in cross-curricular studies that involve coding, robotics, mechanical design and engineering problem solving as an integral part of their learning. This unique and effective approach is applied across universities in Europe and we are leading the way in the future of education by offering it as the core of our curriculum. This type of learning gives the student a high-level perspective on how to solve a problem by using 2 or more approaches from different areas of study, giving them an advantage to apply deeper thinking when working on projects at school, and will apply this process throughout their education career all the way into the boardroom, the science lab and beyond. We also offer pre-advanced and advanced placement in our courses. At Fulford Academy, we believe that students in mathematics learn best when the content of the math course, regardless of level, is integrated into the problem-solving model. Whenever possible we strive to present students with real-world problems that relate to the mathematical concepts they are learning each day. Our students explore situations using experimentation and other hands-on methods of gathering data and connect the calculations and problem-solving strategies they are using to the mathematical concepts outlined by the Ontario Curriculum. Our teachers work hard to ensure the mathematics is practical, engaging and applicable to a wide variety of life pathways. We work hard to ensure our students have the foundation and skills they need to be good problem-solvers in whichever future they choose. This open and engaging classroom style ensures that all students are able to contribute and fosters a positive and successful mathematics experience. When texts are needed our program uses the Nelson Education family of texts. We also rely on other multimedia tools such as Khan Academy, Desmos, Geogebra and other interactive mathematics tools. All Grade 7–12 students are expected to bring a scientific calculator (with features such as ,x , x2, and the primary trigonometric function sine, cosine and tangent) to every Math class. For grades 9 - 12, a graphing calculator is an asset, but not a requirement. 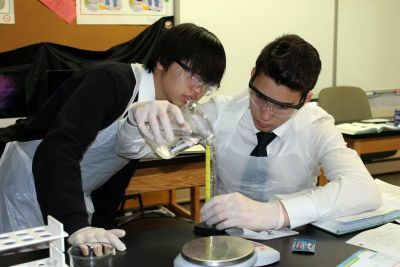 Fulford Academy’s science classes are hands-on and interactive. Students use an inquiry-based approach to learn essential skills and content. This approach gives students the opportunity to learn the scientific method by applying it to solve real problems. Emphasis is placed on developing safe work habits, collaboration skills and analytical abilities. Students are encouraged to show what they have learned through a variety of different forms and media, for example, videos, traditional lab reports, photo-journals, presentations, etc. This learning is reinforced by traditional lessons teach specific concepts and vocabulary clearly and directly. Students also explore areas of personal interest through research projects, guided discussions and readings. Literature can play an integral role in many courses as a lens for exploring real-world issues against the backdrop of fiction. Students learn to examine links between fictional and literal concepts, using literature as a framework to find meaning and to make their voices heard in unique and personal ways. Literature also provides an excellent opportunity for students to learn contextually, building their vocabulary and their mastery of grammar and figurative language based on the structures they encounter in various texts. When it comes to teaching humanities and social studies, it is important to approach the classroom with understanding. The idea that what has come before is important to understanding the present and the future. Teaching the foundations of the humanities and the social sciences, encourages students to think critically not only about the past, but also the present and future. Challenging students to look at the world through a new lens, for better understanding, and it is through this understanding, the classroom becomes more inclusive, more understanding, and more compassionate for all learners. The French language is an integral part of the cultural heritage of Canada. All middle school students get at least 1 hour of French instruction each day. 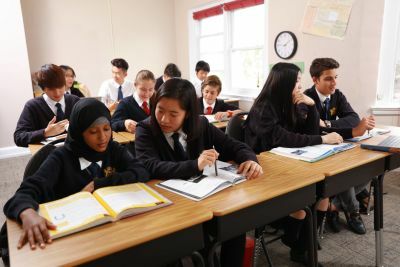 Once students have entered into secondary school, they are required to take French in at least grade 9, with additional years of French language instruction available if numbers are sustainable. Creativity is of critically important in the arts, there is always something new to try, a new an idea to apply, or a new understand to build on. Students are encouraged to take risks in the arts, challenging their limits to see what they are truly capable of. Art gives students the freedom of expression, by teaching the fundamentals and encouraging their own self-expression, students are able to make new connections and new experiences. By experimenting in the arts students may find their passion in something new and different. The arts classroom not only encourages individual expression, but also collaboration, critical thinking, and communication. 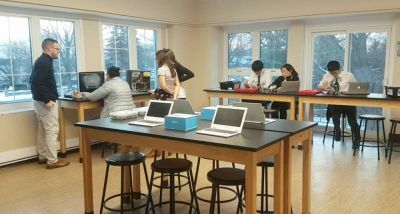 Fulford Academy embraces technology in the classroom for the delivery of material to students (and their parents), and for assessment and evaluation purposes. All students at Fulford have, or are provided with, a laptop or Chromebook to have constant access to course material (like instructional videos, teacher-made notes, or tutorials). All teachers strive to incorporate STEAM (Science, Technology, Engineering, Arts, and Mathematics) learning through technology-based tools, and students are continuously encouraged to present their learning in as many different ways, and using as many different technologies, as they would like. Special focus is placed on developing skills in computer programming (coding), robotics, media arts (video creation and editing), 3D design and printing, and mathematical modeling (through Desmos). We strongly believe that these tools allow us to provide information to students in as many different ways as possible while allowing them to express their own talents and interests. In Physical Education we focus on being safe and active throughout the student’s lifetime. Studies have shown that many of the activities that we are introduced to in our youth are likely to be a part of our adult life. 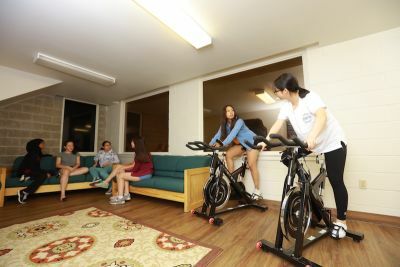 We introduce a variety of sports and activities that they could continue as they get older such as baseball, basketball, soccer, badminton, swimming, volleyball, skating and curling. Many communities offer these sports in the form of recreational leagues for both children and adults. We usually start by introducing rules and equipment so that they understand how to play. This is followed by demonstrations of proper technique and skill building activities so that they can avoid injury. We finish by playing the sport so that they can get a feeling for the flow of the game. As the students progress into higher grades we introduce a fitness component. All classes at Fulford Academy use a blended learning model in which each course has a corresponding online classroom learning environment. With this, students learning can continue long after their in class sessions have ended. We are a very supportive environment where we do our best to accentuate the strengths of the students while also building up the areas where they may need enrichment. We strive to create an environment where we are consistently enriching both the student’s Intellectual and Social intelligences. This is a neurodevelopmental disorder. Children with ADHD may be hyperactive and unable control their impulses. Or they may have trouble paying attention. These behaviors can interfere with school and home life. Due to our small learning environment and attention to teacher training, students automatically receive extra attention when any need arises. If the teachers can manage all of the needs of the students in the classroom then this is done, if more attention is needed, local professionals are brought in to assist the student, their families, and the teachers. Fulford Academy offers a variety of club options to day and boarding students. Students have the opportunity to improve their existing talents in areas such as athletics, music and the arts, or they can get out of their comfort-zone and try something new! Our clubs are geared to include options take place on campus, while other clubs take place in our surrounding community of Brockville. Fulford Academy is looking for students who want to be academically successful and are motivated to work hard, face challenges and enjoy living in a multicultural environment. Our students should be respectful, keen on learning new things and being involved in our community. For our academic programs (grade 9-12, as well as summer credit programs) we require an English test. Brett is an architect with Perkins Eastman in New York, a member of Gallery JJ in Seoul, and a lecturer at the University of Pennsylvania.